Place all ingredients in a 2 quart jar. 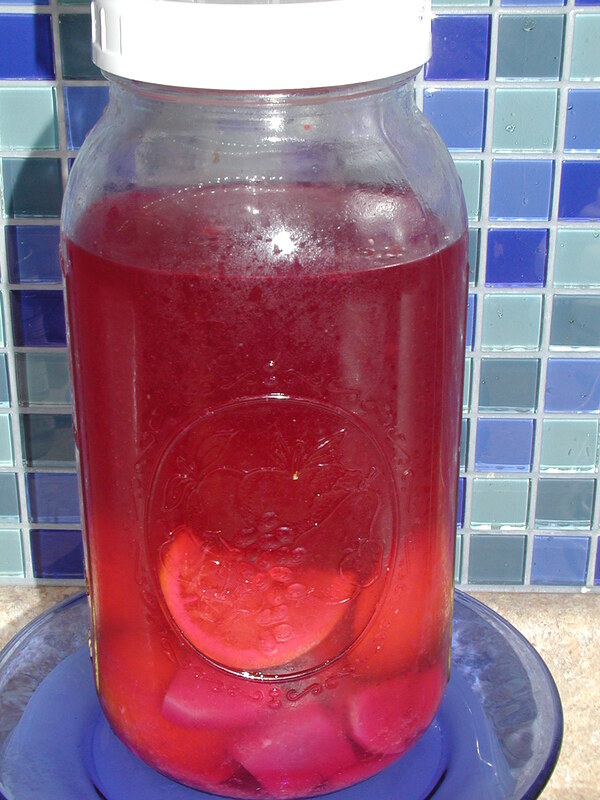 Add filtered water, leaving at least one inch of space from the top of jar. Screw on lid. Let sit on counter, unrefrigerated, for 2 days. After 2 days, place in refrigerator. Enjoy! -Best to use organic produce. -May continue to add water until kvass turns pale. -Combine with kombucha for a delicious treat!